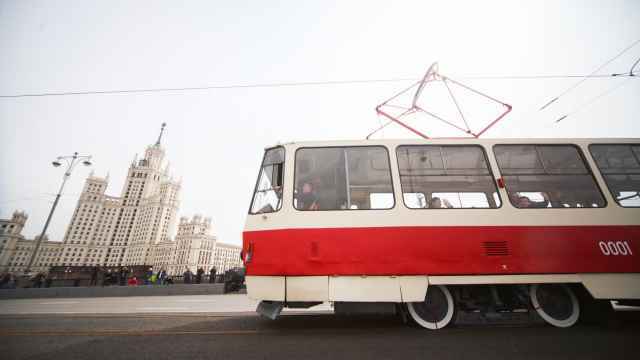 Vedomosti newspaper asked The Moscow Times' Kevin O'Flynn to take a tour around the city and see how things have changed. If you stand at the start of Tverskaya Ulitsa and look away from the Kremlin, the only street sign that says anything in English is one showing the way toward Sheremetyevo Airport and St. Petersburg, a hint, perhaps, to leave now before it's too late. 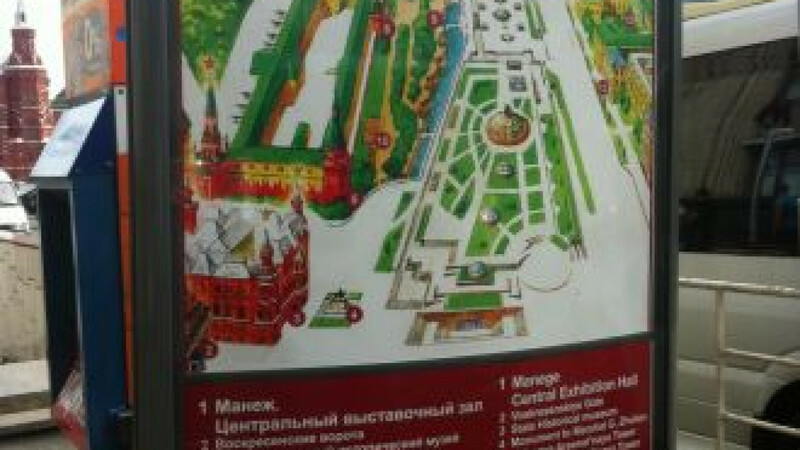 There is a stand alone map of Manezh Square on one side of Tverskaya with English listings of the square's sites, the Manezh Central Exhibition Hall, Tomb of the Unknown Soldier and the kind of sight a man travels thousands of kilometers to see — the Institute of Asia and Africa. At the bottom of the map are the words "Emergency Call Center for Tourists." Unfortunately, there is no telephone number. Heading down into the underpass that leads to Manezh Square and the Kremlin, one of the more difficult of Moscow's underpasses to navigate through, there are no directions in English, although plenty of no smoking signs. Luckily, there are two policemen, one portly Russian, one Caucasian standing together, friendship of the peoples in action. 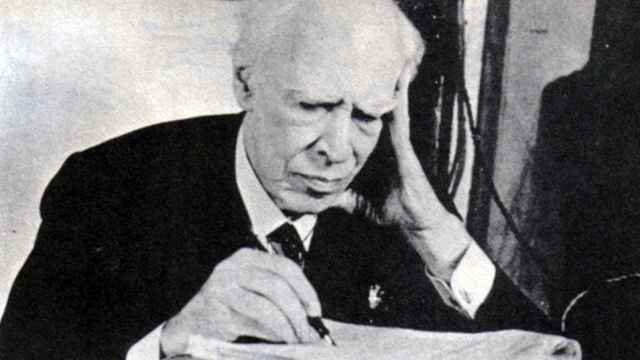 "Where is Red Square?" I ask in English. "Yes," says the one who is not smoking, pointing behind him to the stairs that lead the wrong way. That said, if you look carefully when walking through the streets, there are more street signs in English than there were before — part of the city program, but not enough to make life much easier for tourists. Volunteers wearing T-shirts with the words "Welcome to Moscow" and "Can I help you?" are wandering around on Red Square and the Arbat. A call center could be a very good idea, but judging from a few calls they may need some lessons from a concierge and a list of basic info for their operators. The woman who answered the call spoke decent English, and was even quite friendly, but the first question — "What time does the Kremlin open?" — immediately flummoxed her, and she put me on hold to presumably google the answer, look it up in a guide book or pop out down the road to ask at the Kremlin. She got the answer right but failed on the next one when asked "When can I see Lenin?" by just repeating the same times for the Kremlin opening. As any Lenin lover knows, the former Bolshevik leader has idiosyncratic opening hours and perhaps more importantly, he's definitely not in the Kremlin. She also couldn't give me the right price for visiting the Kremlin, saying the cheapest price was 700 rubles ($21) rather than 350 rubles. The call center number 8 800 220 0001 is only for Russian speakers; you are asked to ring a different number, 8 800 220 0002, to get the foreign language one. A second call had the operator speaking in a thick accent explaining that a ticket to the Armory cost 70 hundred rubles. It took him seven minutes to get the right price for entry to the Kremlin, but he did say, "Have a good time in Russia!" at the end. The call center also says it offers four other languages although the French and the Chinese options were rerouted to the English operator. Promotion: A new website has been launched and promotion clips are now being shown on international channels. The website Travel2Moscow, which to be fair is still in testing mode, has an English language version that is obviously simply translated from Russian. It is correct most of the time but very literal and clunky, as if the site were talking to small children. When talking about Vorobyovy Gory, the site gushes: "The breathtaking view will make you feel like flying, and you will certainly wish to come to Moscow again." It also babbles at times. 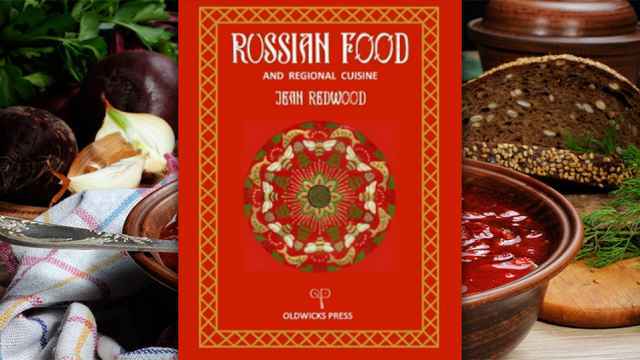 After advising visitors to take up any chance to eat in a Russian's home, it notes, "In addition, in Russia, men and women eat at the same table." The latest Moscow city promotion video, which has been running on some international television channels, also suffers from stilted text as an English man and woman inanely talk about Moscow as some cliched views of the city are shown. "Did you know that you can get there easily nowadays?" the woman on the video says at one point as if the Iron Curtain had fallen just the week before. As the extravagant interior of the Kremlin is shown, we hear this dialogue: Man: "Is that gold?" Woman: "Oh, please. You're such a child. Of course it is." Moscow city is experiencing a hostel boom with dozens of new places opening up in the last couple of years. The booking site Hostels.com lists 51 hostels in the city and there are noticeably more backpackers in the city than before. Most of the hostels are in the center, although Hostel Museum Red Star deserves a special mention, as it is one of the cheapest — prices start at 390 rubles — and the kitschiest, with rooms that mix traditional Russian designs and Futurama. It is in Biberevo though. The souvenir stands around Red Square remain for now filled with the usual unhappy mix of matryoshka dolls, fur hats and unfunny T-shirts featuring Lenin giving the finger. There seems to be little innovation so far, although the Cheburashka T-shirt that says "Will hug for an orange" did raise a smile. There was no sign of any Lenin memory sticks. The company, Heart of Moscow, does have some cute if not cheap souvenirs — T-shirts with old Soviet photos on them, toy models of Moskvitch cars — but none of their style seeps into the places around Red Square. A woman selling dozens of maps on Red Square had only one English map, a standard trick in Moscow, so a visit to the nearest hotel and a friendly concierge provided one. If anyone sees one, please let me know.